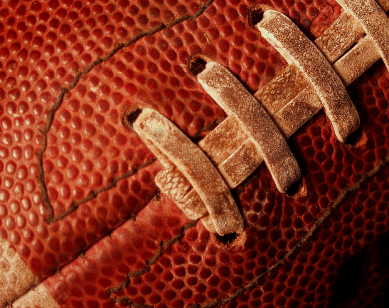 It's that time of year when muscle collides with muscle and padding takes a beating on the field, as hundreds of athletes battle it out for the coveted pigskin. This summer marks the start of football season with hundreds of recreation leagues, high schools and colleges suiting up in order to reach peak condition and snag a winning season. As your school or organization prepares for the official kick-off of the football calendar year, look to Toadvine Enterprises for all of your football needs. Whether your field is in need of new goal posts, additional training equipment or just needs to start fresh with some new athletic accessories for your team, we've got you covered. 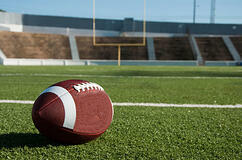 Toadvine can provide anything your team might need to kick-off a successful season on the gridiron. Contact Toadvine if you need a quote on athletic equipment, uprights or stadium bleachers. Toadvine is your resource for a winning football season. Thanksgiving is a busy time in our markets. High school, middle school, and college athletics couldn’t be at a busier time. The two largest sports are overlapping for a bit as they do every year. So when it comes to athletic equipment, scoreboards, and athletic seating, things are hopping. For the other markets we serve like auditorium or church seating, it can be a busy time as well. With things moving indoors, churches and theaters are preparing for busy times. With all this increased activity, we think it’s a perfect time to step back and celebrate Thanksgiving. It’s time to watch rivalry week in football, or to watch your favorite college basketball teams kick off the year. It’s time to watch pro football move toward playoff time. It’s time to support your high school basketball teams, or continue spurring on your football team if they made the playoffs. It’s a time to enjoy a large meal with family and friends. It’s a time to relax and rest. It’s a time to get a jump on Christmas shopping or to even put up the tree. During all this time, take a moment or two and reflect on all you have to be thankful for. Let’s call it a grateful list. We’ll start by saying we’re thankful for you, our community that chooses us for all your athletic equipment, scoreboards, and seating needs. 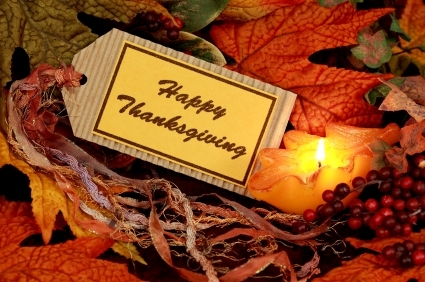 From all of us at Toadvine Entreprises, Happy Thanksgiving! As football season has ended, how is your scoreboard holding up? High school football is wrapping up over the next three weeks. It’s playoff time, which means your stadium and your scoreboard get a rest. If your team is still alive, then good luck. If you’re just curious which teams are still alive, then this link will let you search all of Kentucky football classes. While we’re at it, here’s a link for Tennessee, Indiana, and Ohio. We aim to please. A lot of action has taken place during the season, and if your scoreboard has taken some dings, we’re here to help. Our team at Toadvine Enterprises, in partnership with Nevco, can fix what’s broken. If you’re just ready to replace your existing football scoreboard or soccer scoreboard, then we can help with that as well. Fill out our request a quote form on our website, and someone from our team will be in touch within 24 hours, probably sooner. We still use the telephone too, so ring us at 502-241-6010 if that’s your style. While it’s easy to put off repairs with basketball season upon us and the focus shifting indoors, don’t wait. Check that puppy off your to do list this month. Speaking of basketball season, we do indoor scoreboards as well for basketball and volleyball. If you’re in a bind and need a repair or a new one before the season gets rocking, contact us today. P.S. Who’s gonna win the state football tournaments? Give us your picks in the comments below. In case you haven’t seen or heard, there’s a new trend in high school and middle school athletics, VIP seating. It’s like what you see in college: a select section of the stands is devoted to VIP seating, with season tickets being sold for each seat. The trend we’re starting to see in high school athletics—which is also a great fundraiser for the school—is installing a section of VIP seats and selling season tickets for these seats at a higher rate than normal admission to the game. Toadvine Enterprises is very grateful and appreciative of our customers and their support over the years. We wanted to show our appreciation by giving back, so we’re launching our Good Samaritan Program. 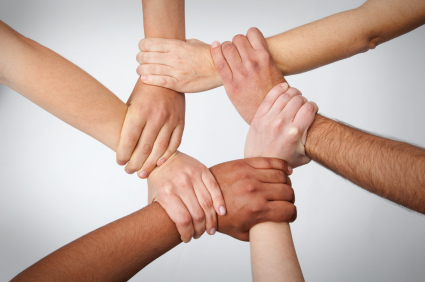 The mission of our Good Samaritan Program is to promote benevolence and compassion and encourage others to give back. Here’s how it works: Whenever a school purchases VIP seating from Toadvine, we will buy two season tickets from that school to help with the fundraising efforts. The tickets will be given back to the school, and the school can then award the tickets to a good samaritan in their community. The good samaritan could be a teacher, parent, fan, or someone else deserving—it’s up to the school to decide. This is where it gets even more fun. We’ve be created a Good Samaritan page on our website and will publish a “Good Samaritan of the week” post along with a picture, name of the school, and short write-up on that page. We’re also encouraging you to get involved by posting pictures and stories about the good samaritan winner on our Facebook page. All schools in Kentucky, Tennessee, and Southern Ohio can take part in the Good Samaritan Initiative, and we look forward to sharing your stories each week. If you want to get involved, you can get started here.